Look around your office. How many of your employees are truly engaged in their work? If your company is like most, only 32% are actively engaged, while 50.8% are not engaged and 17.2% are actively disengaged. Engaged employees are excited and committed to their work, demonstrating higher productivity, greater performance, creative problem-solving and better innovation — directly affecting your bottom line. In one study, organizations where most employees were highly engaged averaged 147% higher earnings per share over companies with disengaged employees. The benefits of an engaged workforce are clear, but this culture doesn’t develop on its own. It’s created by the leadership, then cascaded throughout the organization so everyone feels empowered to help the organization achieve its mission, setting the stage for sustainable success. Conscious leadership is about awareness, being aware of how your own motivations and behaviors inspire and engage others — or not — and using these insights to more effectively sustain the growth and development of your organization and the people who comprise it. But more important than what conscious leadership is, is why it is essential to exhibit now. Today’s businesses face challenges like never before. Globalization offers opportunity, but also increased competition and cultural differences. Rapidly changing technology requires agility and innovation. New generations of employees entering the workforce demand an environment where they feel valued and instrumental in making a difference. To be successful in this knowledge economy where ideas, collaboration and speed rule, employees must be engaged. And to create that type of environment, leaders must learn how to lead consciously. What does a conscious leader look like? I once worked with a division president — I’ll call her Mary — who headed up project resources for her company. While all individuals are distinct in terms of their leadership styles, Mary was passionate, devoted and not willing to compromise on the internal development required to execute projects consciously. Mary was also a visionary, not one to settle for the status quo, forging ahead — even in the face of criticism — and did this in ways that were engaging and inspiring. The self-awareness and self-confidence one needs as a conscious leader is not only crucial; it fuels the courage and commitment for someone like Mary to do the right thing, inspiring others to do the same. Although becoming a conscious leader is a continuous process, there are some specific behaviors you can implement to set the foundation for increased engagement. 1. Self-awareness: Understand how you see yourself and, just as importantly, how others see you. Conscious leaders need to get an objective view from the organization and be willing to absorb the feedback as a way to begin looking inwardly to see where they might start doing work. Typically, this falls into two categories: vertical development, which involves mindset transformation and how you think; and horizontal development, which is the adding of more knowledge, skills and competencies to what you already know. 2. Continuous learning: Accept that you do not — and should not — know it all. As leaders, we can get caught in the impossible trap of thinking we should have all the answers. Instead, we should become experts at finding the people who do have the answers. That’s done by establishing relationships with employees at all levels of the company—they have insights we couldn’t even imagine. The closer a person is to the problem, the better perspectives he or she can share. 3. 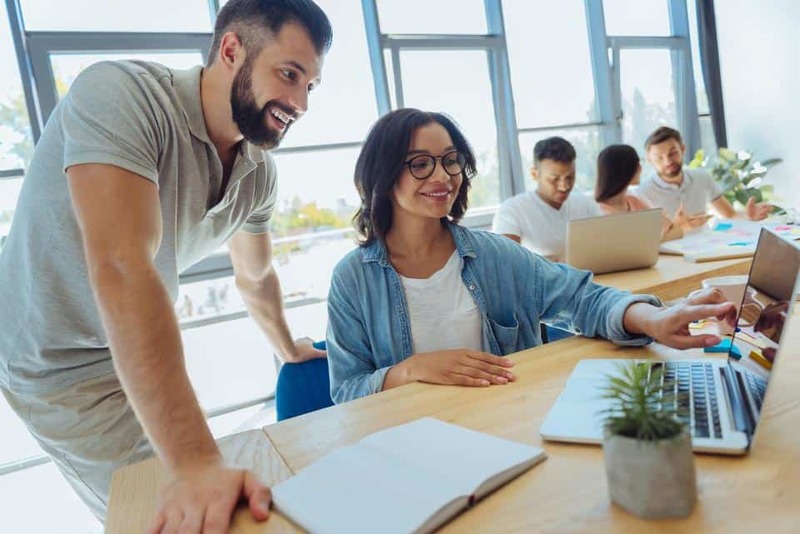 Employee engagement: Understand that employee engagement is a strategic priority — a “must win.” An engaged atmosphere is imperative to business success. Ensure your managers understand this “must win” and its reasoning; hold them accountable for their results through performance measures and rewards. 4. People first: Put people first. Conscious leaders understand that no organization exists without people. Even though the goal for most businesses is to make a profit, conscious leaders know that it is hard to sustain a profit and all its underpinnings (innovation, collaboration, communication, etc.) if employees are devalued and unfulfilled. As you implement conscious leadership for yourself and your top teams, these same tenets trickle throughout the company, creating a living, breathing, conscious organization. Here’s a notable example: a window washer for one of my clients in Los Angeles met with the company’s CEO to explain that the company was making a mistake using the current window cleaning solution and suggested changing brands. The CEO listened and agreed to a trial period using the solution the window washer recommended. The new solution not only cleaned the windows better; because it was less expensive, it saved the company thousands of dollars a year. The window washer was engaged. He cared about the quality of his job and how he could benefit the company. Not surprisingly, the CEO hadn’t been aware of the window washing issue; but he paid attention to the person who was closest to the problem. Fortunately, the CEO had created an environment where employees felt comfortable sharing ideas with the executive. This story will now become part of the company’s folklore, driving the conscious leadership culture even further. As a leader, your primary responsibility is to engage, inspire and develop others. Through conscious leadership, you do that more intentionally, creating significant business benefits and a culture that motivates and empowers. I help my clients create more effective, advanced, conscious contributions to business and society.